Overview of lego system guidance full project. 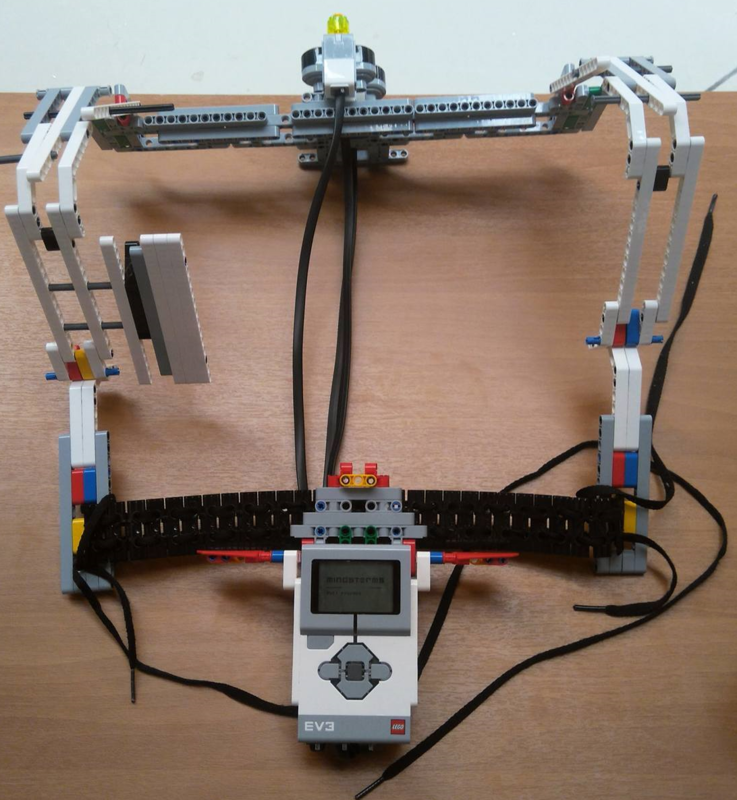 Lego system guidance is a wearable jacket made of lego ev3 and consists of three sensors and one intelligent brick which helps the user to understand if there is an object in front of him with the help of appropriate sounds. The project was made for the Festival i2fest 2017. 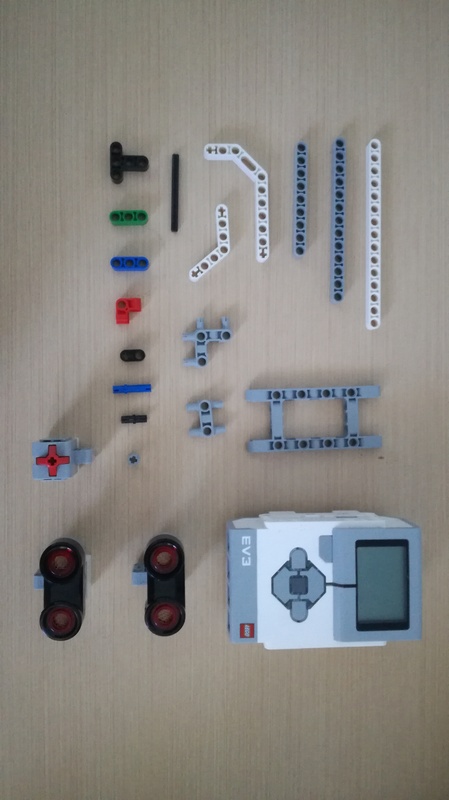 The guidance system consists of several Lego Mindstorm ev3 componets (LEGO MINDSTORMS Education EV3 Core Set). Overview of Lego Sytsem Guidance where all types of the components are shown. Project in action Initially, the project boot by pressing the touch sensor which is located on the front side of project. Then, 2 lego ev3 ultrasonic sensors which are located on the front side start to produce different sounds. Τhe first one, has 90 degrees difference from the ground and produces an intermittent unique sound which tells the user it has an object in 50cm of him. More specifically, starts beeping from the 60cm and detects particularly large objects such as people, walls etc.The second, is adjustable i.e. the degrees of the sensor from the ground depending on the height of the user and and starts to produce sound from a distance of 160cm which is different from the first ultrasonic, as near approaching the user at obstacle so most frequently becomes the sound produced and in 35cm begins to sound a continuous sound, detects particularly small or medium objects such as desks, chairs,terrace etc.At the end, we can shut down the program with the touch sensor.